Yes, there is such a thing as purple cauliflower and it’s not dyed or genetically modified to get that way. There are even green and orange varieties too! 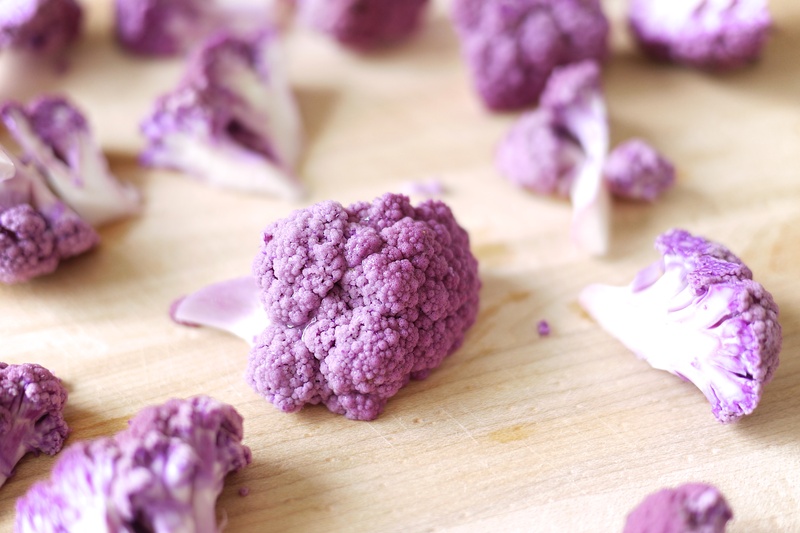 Purple cauliflower gets its colour from the abundance of plant flavonoids called anthocyanins, which are found in that purple pigment. Anthocyanins are a group of powerful antioxidants. We like eating antioxidants, don’t we? They help our bodies defend against free radical damage, which, in turn, helps us fight inflammation, illness and disease. Various coloured cauliflowers were created from natural selective breeding/crossbreeding after agricultural scientists noticed a natural colour mutation and started hybridizing the crop. 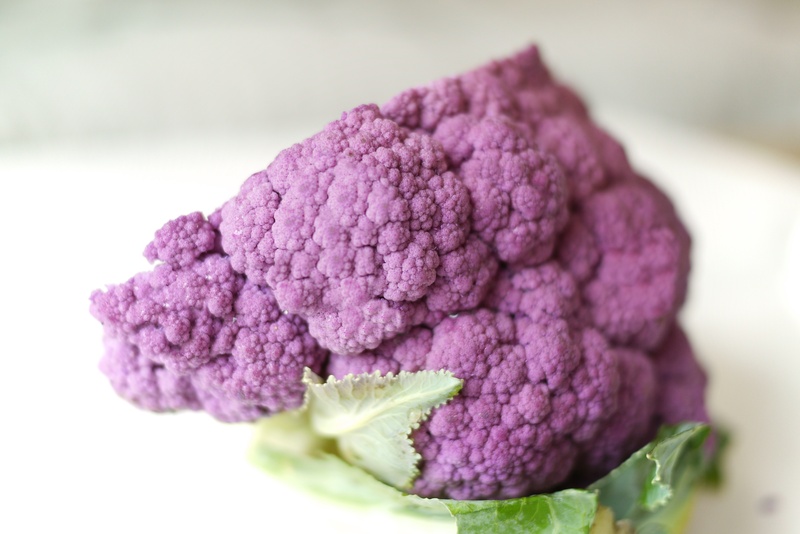 Decades later, purple cauliflower became a legitimate variety of coloured cauliflower. 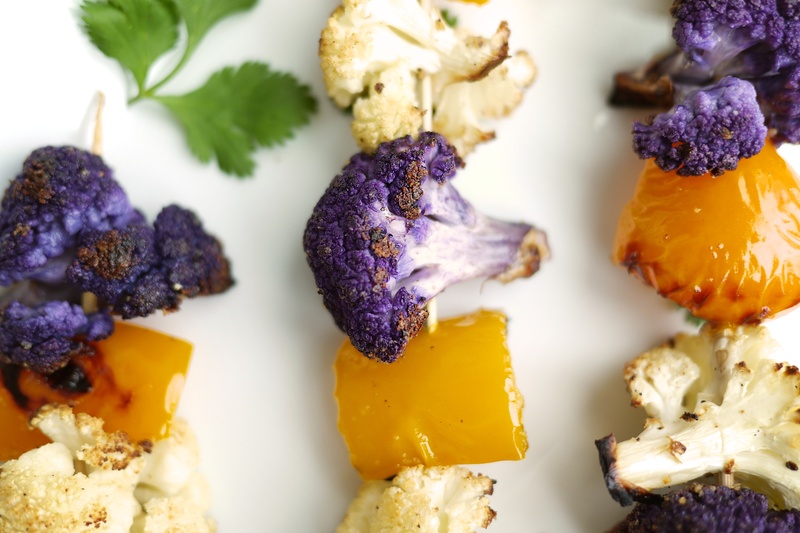 With purple cauliflower, you’ll still get all the traditional benefits of cauliflower like helping the liver with its detox functions, but you’ll also get an added boost of increased antioxidants to give a hand to your immune system too! 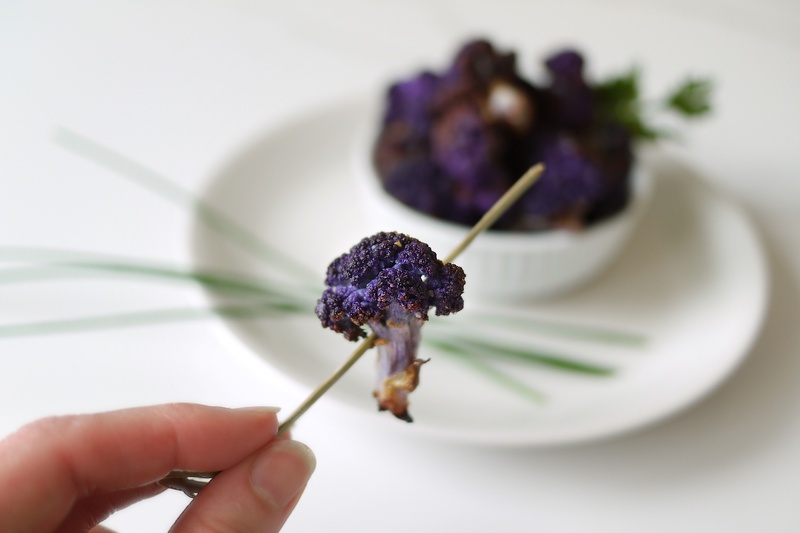 Purple cauliflower tastes the same as white cauliflower, but makes for a pretty change of pace every now and again like I’ve done here with alternating skewers of purple and white. You can use it in any dish where you would use cauliflower. (I think making it into cauliflower rice would be a great addition to any salad or stir-fry.) Who doesn’t love purple food after all? Cut cauliflower into bite-sized pieces and add into large mixing bowl. Add salt, pepper + garlic powder and oil and mix well. Spread evenly on parchment-lined baking sheet and place on middle rack. Bake for about 20-25 minutes, stirring every 10 minutes to ensure even roasting. Remove once edges of cauliflower are brown and crispy. 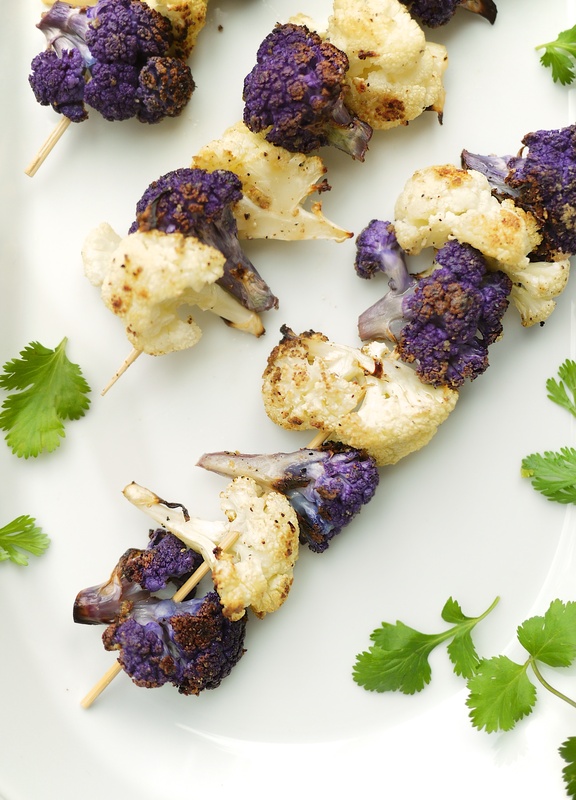 Notes: To make alternating skewers with white cauliflower, simply double the recipe using an extra head of white cauliflower. If you want to make the alternating skewers like I did here, you’ll just add a head of white cauliflower, double the recipe and use two baking trays. Throw in some chunks of other brightly coloured roasted veggies too if you want (I used a yellow pepper just for fun). They will cook at the same time as your cauliflower. No problem! Easy to make, hard to resist. These bites make a great snack, or topping for a bed of brown rice with leafy greens. I used the leftovers up in cold salads and rice dishes through the week. So versatile! 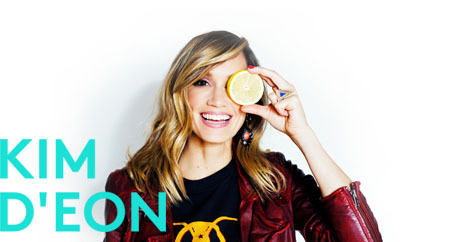 If you end up making this, post your healthy creation on social media and take me @kimdeoncom so I can see what you’re up to!